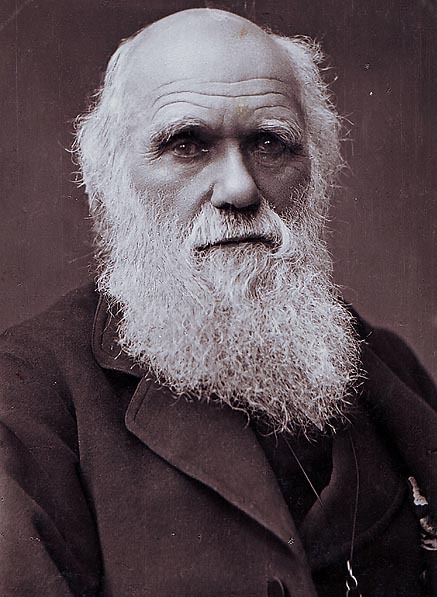 Charles Darwin once said: "the impossibility of conceiving that this grand and wondrous universe, with our conscious selves, arose through chance, seems to me the chief argument for the existence of God; but whether this is an argument of real value, I have never been able to decide" (full transcript here). It strikes me that if such a clever fellow such as Darwin cannot decide if the most convincing argument for the existence of God is valid, then the rest of us mere average intellects have no chance. It points to a problem of proof and persuasion Just because there is a logically valid, sound argument for the existence of God doesn't mean one has proven God nor that everyone would be persuaded by it. The question, then, is why not? And why does the same argument have a positive result in one person and yet the opposite effect on another? Perhaps the most interesting part about Darwin's statement is that he neither accepts or rejects the argument - he says that he has "never been able to decide." I wonder if that holds the key to understanding this problem. The first question is: does Darwin have to believe that God exists in order to pass judgement on the argument? It appears not. It does not seem to necessarily follow that because Darwin cannot decide on the value of the "chief" argument for the existence of God he could not believe that God exists. He may believe that God exists without any argument at all. It may be a basic belief arrived at without inference. Perhaps the problem lies not in the argument or its effectiveness, but in the ability or inability of a person to make a verdict. Darwin was able to do many things, but, in this endeavor, he finds himself lacking. Belief, in this case, is not achievable in the same way as achieving belief in a Higs Boson. The validity of the argument, then, would be determined by a prior, already existing, faculty or ability to accept the argument. Some people can make a verdict on the argument and some cannot. Just why the disparity exists might be difficult to explain. Perhaps it is due to the noetic effects of sin or merely a psychological predisposition. In that case, it does not matter how good the argument is; some people will not be persuaded. Another problem is that arguments are made by and judged by people who are already committed to various sets of fundamental or ultimate beliefs. I, as a conservative evangelical Christian, am already committed to the veracity of the Bible. The Bible's worldview is, as much as God grants me, my worldview - it contains all the fundamental commitments I want to hold. So an argument for God's existence is not valuable to me because it helps me believe in God; I already believe in God. Whether I value the argument has got little to do with my belief. This means that, if I value the argument at all, it would have to be for another reason - perhaps I value it as an argument to help my atheist friend consider the existence of God or to challenge his materialist assumptions. So, if that is true for me, why not for Darwin? The argument"s value might have nothing to do with his own belief. James Anderson recently suggested that proving God is a matter of whom it is we are proving something to (here); proof is "person dependent." The question, then, would be what arguments count as proof for what people? And, if arguments are judged from an already existing worldview, then arguments presumably would only count if they rest upon already existing parts of that worldview - if the person already accepts the premise. So, what premise does Darwin already accept? Does he already believe in God? Perhaps, but on other grounds than the argument in question. But he might very well be skeptical of the very idea that God's existence can be proven. His underlying premise might be something like "it is not possible to know/prove God's existence." If that is the underlying assumption then any argument is unpersuasive This might be the case since Darwin also refers to the best argument for the existence of God. And if the best argument fails to persuade then any other argument presumably fails. But, again, he may believe in God without any argument. Although I cannot know what Darwin believed (there is much debate about his religious commitments), I can know, in large part, my own. The truth is, I am also somewhat skeptical of the value of the apparent "best" argument for the existence of God for the reasons sketched above. I am also not convinced that the argument should be grounds for belief even though it might help someone realize that belief in God should be considered. In other words, I think the argument's value might lie in challenging non-theistic assumptions even if it might not function as a reason to believe.